A few metallic accents can really wake up a room's decor. But with so many pretty metal finishes to choose from, how could you possibly commit to just one? That's one of the reasons the mixed metals decor trend is so popular. Plus, it's easier to pull off than you might think. Here are eight ways to mix metal finishes right. 1. Play up the contrast. Emphasize your mixed metal pieces by playing up their differences. 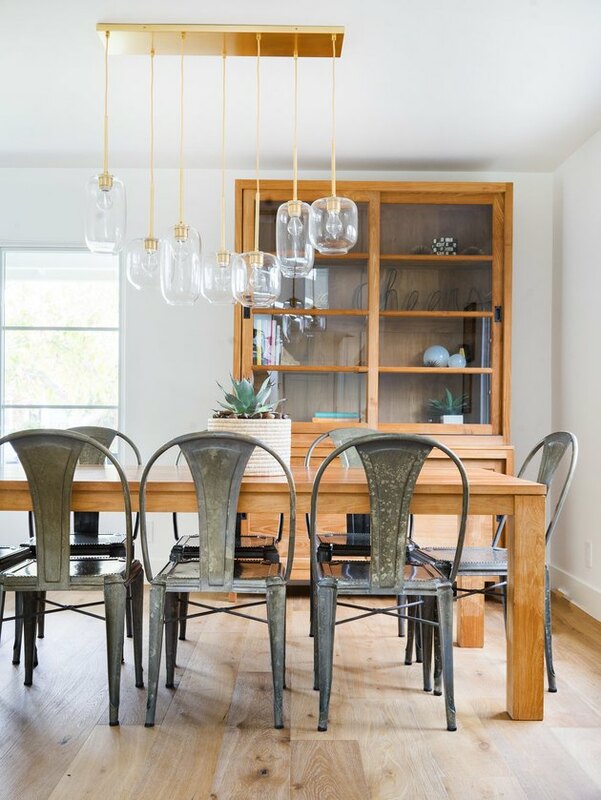 In this California home designed by architect Eric Aust, the sleek gold light fixture balances the industrial metal chairs, keeping the design from looking too rustic. To keep your style looking chic rather than chaotic, limit yourself to mixing only two to three different metal finishes in one space. Any more than that could make your room feel disconnected. 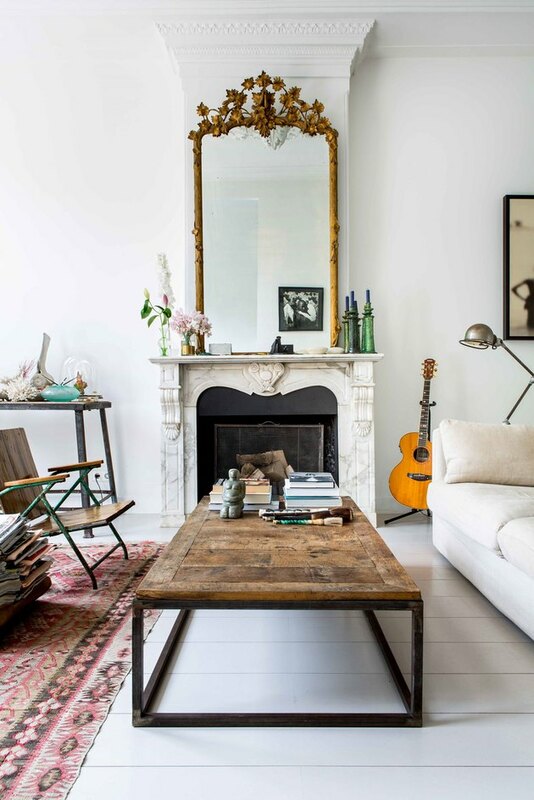 The eclectic living room of this Amsterdam home beautifully blends a handful of metal finishes using key pieces like the ornate gold frame mirror above the fireplace, the black steel frame coffee table, and a chrome floor lamp. 3. Space out your metal finishes. 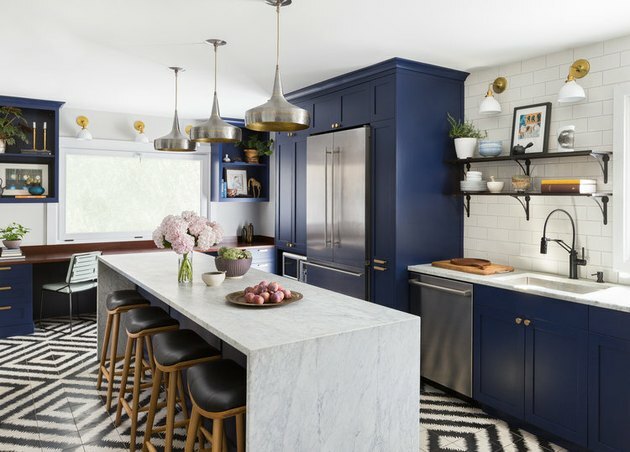 If you want to truly nail this trend, be sure to spread your metal decor throughout each space. 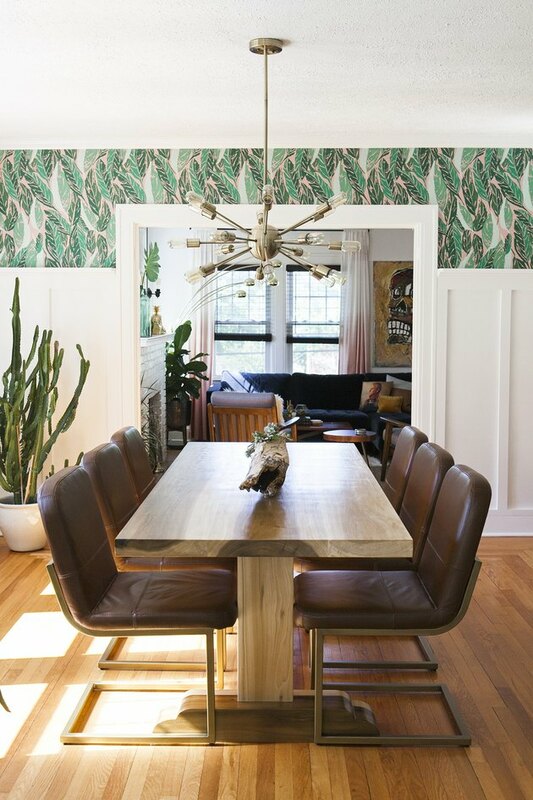 This dining room's silver midcentury pendant light and dining chairs with brass legs are a perfect example of how working metal accents into your design from top to bottom can really help tie a look together. 4. Anchor your design with a mixed metal accent. 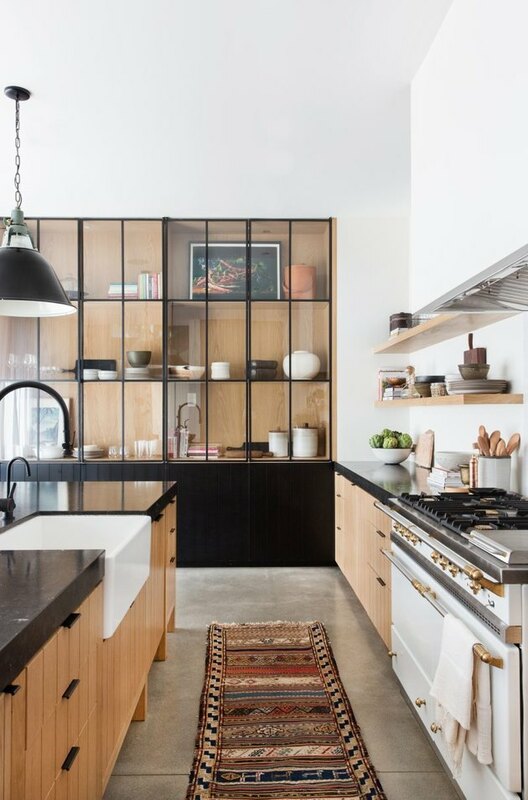 In this Seattle kitchen, the brass wall sconces and stainless steel appliances are far from out of place thanks to the mixed metal finish of the pendant lights hanging above the island. 5. Mix finishes to create texture. Add interest and texture to your mixed metal decor by pairing a brushed metal item like this wall sconce, near something more polished and reflective, such as these brass bookends. 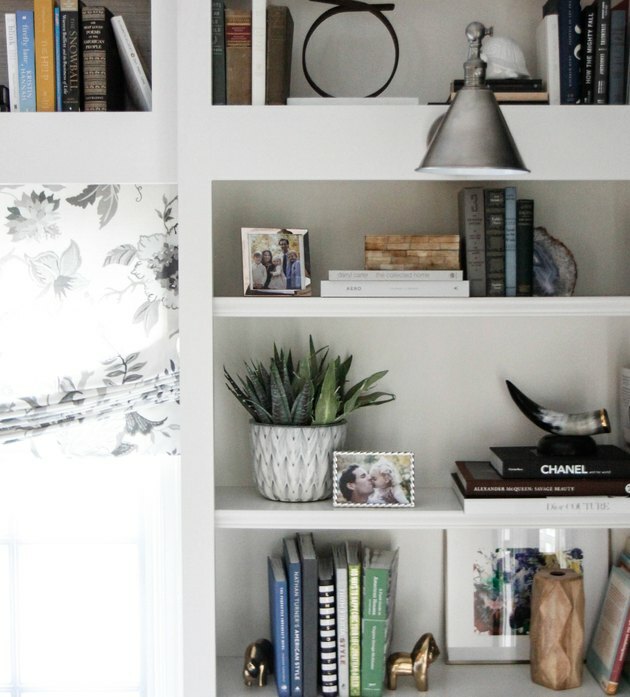 This works especially well on open shelving. 6. Introduce a new finish with lighting. 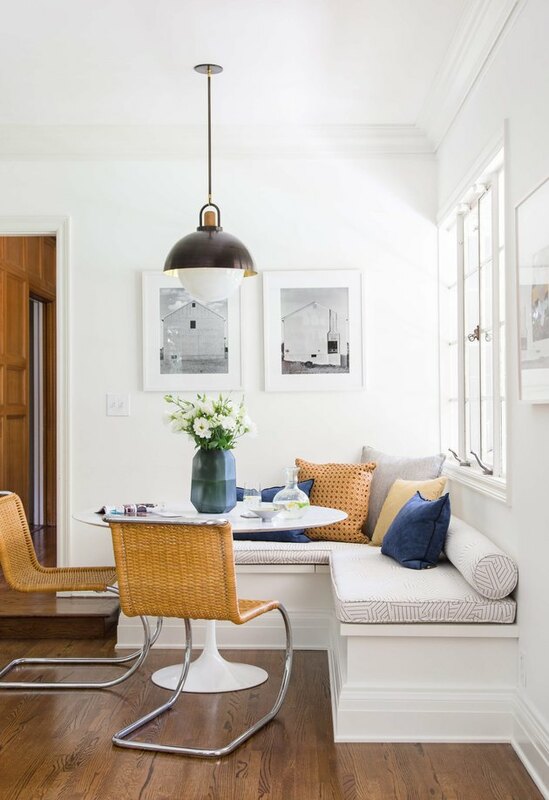 Since ceiling-mount light fixtures are visually separated from the rest of the room, they are an easy way to bring a new finish into your decor without messing up the overall design scheme. Here, the darker tone of the oil-brushed bronze pendant draws the eye up, since it's a heavier-looking metal than the steel chair legs. 7. Use wrought iron as a neutral. The soft black finish of wrought iron isn't nearly as eye-catching as gold or silver. 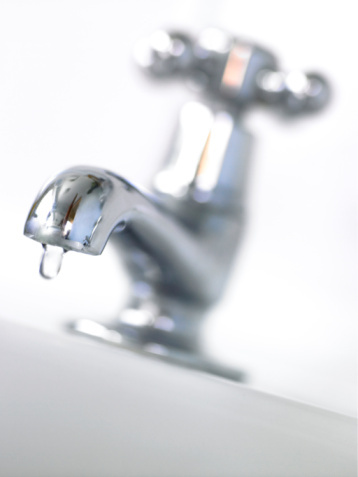 In fact, it's so understated that you can think of it as a neutral — so you don't have to worry about what other metal finish you want to pair it with. 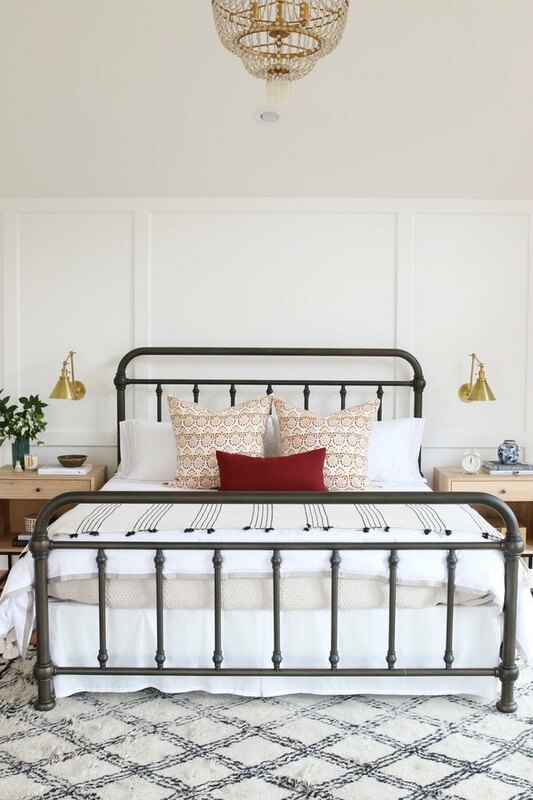 That's why these brass wall sconces look so good next to the wrought iron bed frame.